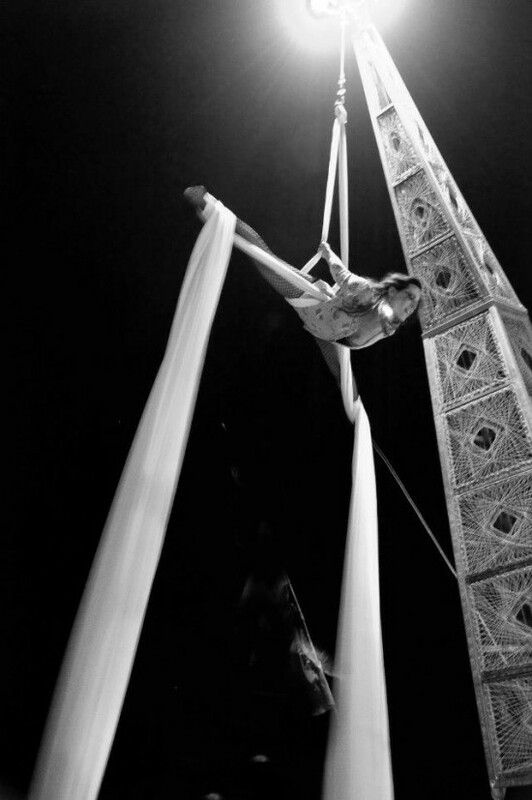 Professional aerialist - Silks, Hoop, Rope/Spanish Web, Hammock. Fire fans and poi. Classical composer, original music if requested. Alysia was fantastic! My husband and I wanted something special for our wedding so we searched and found Alysia online and asked her for a free quote for an aerial performance at our wedding. She was very professional and patient right off the bat. She helped us narrow down exactly what we were looking for and made it happen. She was even able to organize a fire performance with her and 3 others later in the evening for our 'big send off' at the end of our wedding. We had a very strict wedding venue and Alysia was able to work flawlessly to make it work for everyone. 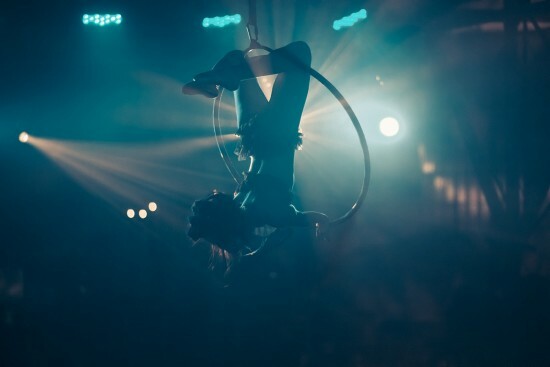 Our wedding planner commented to us that everyone that Alysia brought with her from her fellow performers to the people that set up her aerial rig were extremely professional, quick, and a all around pleasure to work with. Alysia made everything so easy for us by directing all questions about the venue, insurance, etc to our wedding planner and all the fun performance questions such as type of music, acts, length of acts, etc towards us (I didn't even have to ask). The thought of hiring an aerialist and fire dancers for our wedding seemed daunting at first but we honestly could not have asked for a easier planning process or a more talented person to work with. We (and our friends) have seen our fair share of cirque shows and Alysia's skills are the best! She performs with a great deal of variety from the tricks that she uses to the art forms/skill's themselves (fire hoop/fire fans/aerial silks/aerial hoop, etc) All our guests loved her and her group of fire performers. They looked as amazing as they we're amazing to work with! Thank you! Alysia Michelle James is an aerial artist, performer and composer based out of Orange County, CA. Born in the budding circus city, Las Vegas and raised in Southern California, Alysia has eleven years dance training, ten years training in aerial acrobatics and a BA in Music Composition completed at UC Santa Barbara. 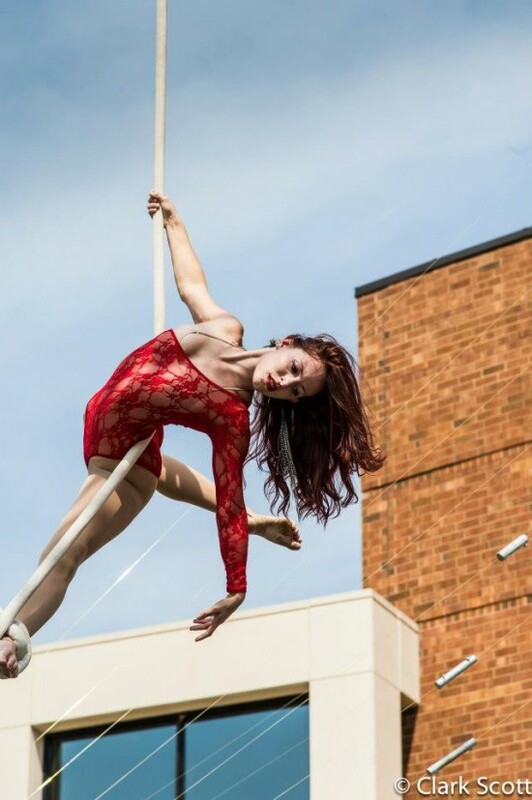 She has worked with William Close and The Earth Harp Collective across the USA as an aerialist and composer; most notably with the premier of Aerial Music at the University of Alabama in 2012. She held the contract position as the gypsy aerialist at Pirates Dinner Adventure in 2015 and continued to work as the aerial coordinator until 2017 when she was offered the resident aerialist position at Teatro Martini, variety dinner theatre show where she performs weekly. Alysia is easy to work with, has a friendly demeanor and brings a sense of mystery, beauty and elegance to every show through movement and music. Must have rigging point or 22 foot ceiling clearance if not outside.